Protect your headlights with our Clear, HID Blue, GT Yellow, or Smoked film covers. These are manufactured to fit your 2014 or 2015 Honda Civic Coupe. 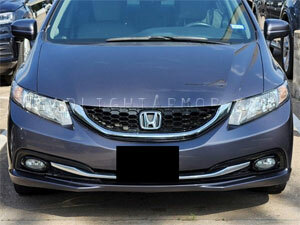 Given the shape of the headlight each side is seamed and notched. Protect your headlights with our Clear, HID Blue, GT Yellow, or Smoked film covers. These are manufactured to fit your 2012 or 2013 Honda Civic Coupe. Given the shape of the headlight each side is two pieces. Protect your headlights with our Clear, HID Blue, GT Yellow, or Smoked film covers. These are manufactured to fit your 2012, 2013, 2014 or 2015 Honda Civic Sedan. 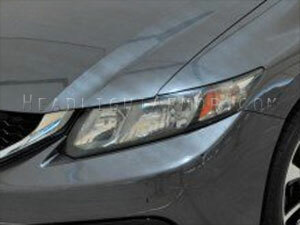 Given the shape of the headlight each side is two pieces.